I am a 55 year old chemical engineer and I am on a one-year journey to become a Chemistry teacher in a local rural high school, if they’ll have me. I obtained my substitute teaching certification earlier this year. I decided to go the ‘alternative teacher certification’ route to save time and money. I live in Osceola, Missouri (population 947) with my husband, horses, dog and cat. 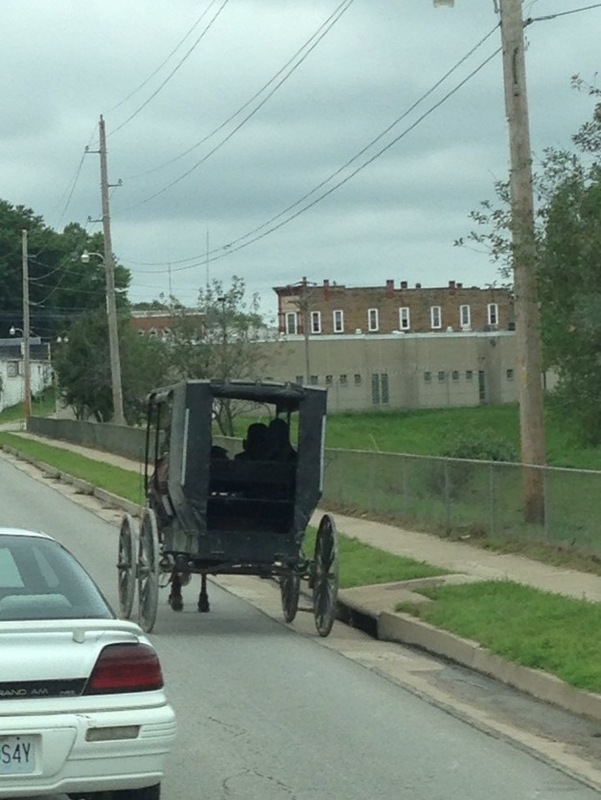 The grocery store is 45 minutes away and I share that road with farmers on tractors and Amish in carriages. Good Luck and teaching is an awesome “encore career”! I am a 65 yr old former Chemical Engineer and left my corporate world 6 years ago – taught first in TN and the last 3 years in Kenya. I did the ABCTE route. I obtained my MO professional license with math and chemistry certifications and about to add physics. It was a very uneventful process to get my license in MO using my ABCTE background! Something to look forward to acheiving. I am sure you will do well……after all you have that engineering background that will bring all sorts of real world experience to the classroom! Hi Paul – thanks for the encouragement. What was your biggest surprise when you entered the teaching profession? Looks like I am not the only Chemical Engineer doing the ABCTE, I am teaching while obtaining my math certification, plan on getting Chemistry certification right after I finish the math. I am teaching Chemistry, Algebra I, 7th Math, and 8th Science in a small school in NE Missouri. I just started this year. I am also coaching football and basketball so I have a full load this year. Look forward to reading your blogs throughout your certification process, good luck! It’s great to hear from engineers that are on this path. Doing this certification on line and being in a very rural area can feel a bit isolated at times. My question for you is: What did you learn during that first week in the classroom? Thanks. Well, Marian that is an easy question to answer but I would not have guessed it heading into my first day of class. I had overseen manufacturing operations with over 1000 employees and started up very large chemical complexes in several countries – so I thought how difficult could it be to manage 35 teenagers teaching something I loved …chemistry! Well – guess again. Knowing the subject and knowing how to present it to make it interesting and understandable – two different skills by a mile. But, with my engineering background, a network of past business/technical colleagues and hard work and continuing that work on learning how to be a teacher is now coming together. My best advice – take the modeling instruction courses for further professional development. You can read all about them at modelinginstruction.com (or go to the Arizona State U web site and look for the modeling program). Every summer modeling workshops are sponsored all over the place. I have completed the chemistry and physics workshops – awesome. Paul – Our backgrounds are very similar and that makes your advice very helpful. I will look into the modeling courses, thanks. I just found this new adventure of yours and have only one word – awesome! I know you will do extremely well in this endeavor and I look forward to reading about each and every step along the way. Hi Martyn ; I appreciate your encouragement, thanks for cheering me on! Is the abcte chemistry exam hard? I have a chemistry degree and haven’t taken classes in over 5 years! The exam is not difficult, especially if you follow the study tips and test-taking tips. However, there is no support from ABCTE if you have questions, so I supplemented my study with a local tutor and videos from Sal Kahn.